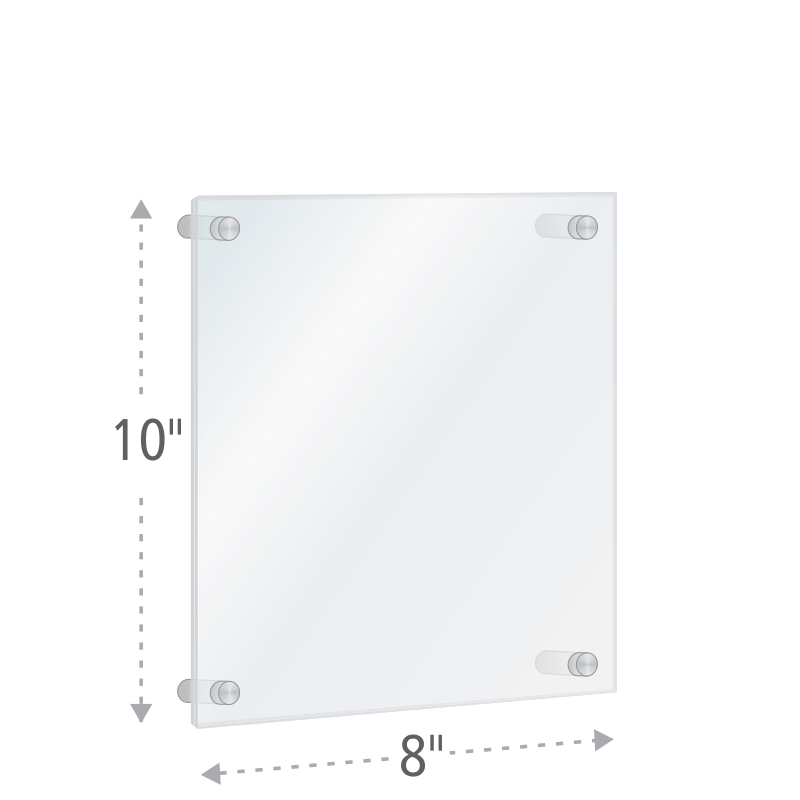 Design an attractive plan with one of our helpful map holders. 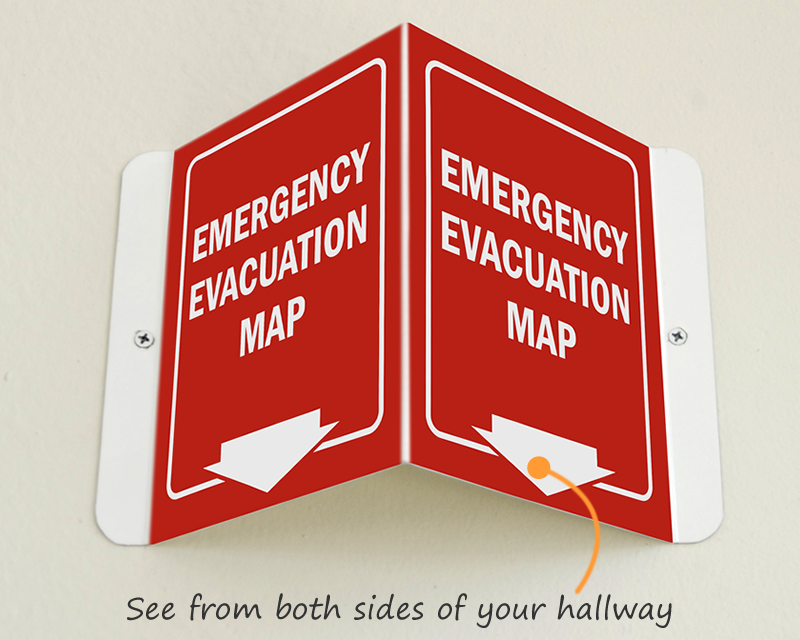 Clearly displaying your signs in the hall means that everyone knows where to go and what to do in case of an emergency. • An easy way to keep your plan protected and professional. 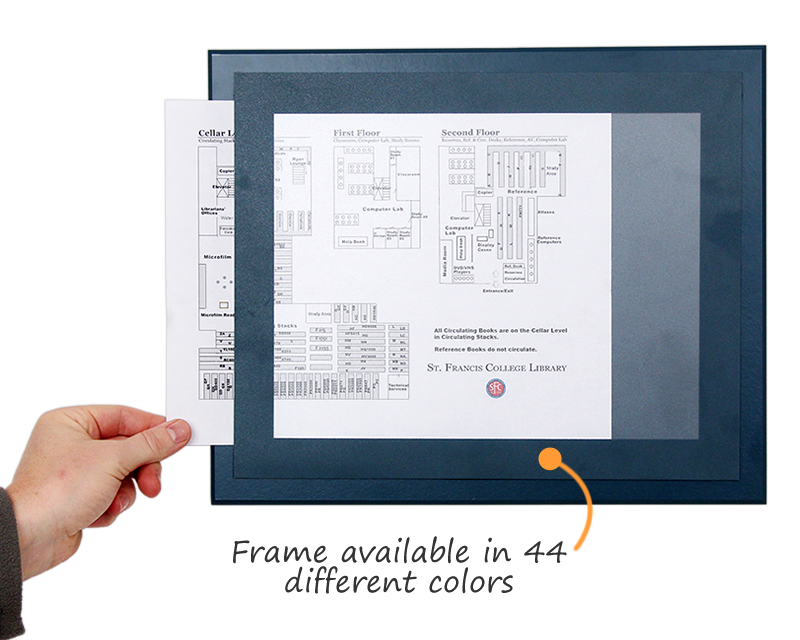 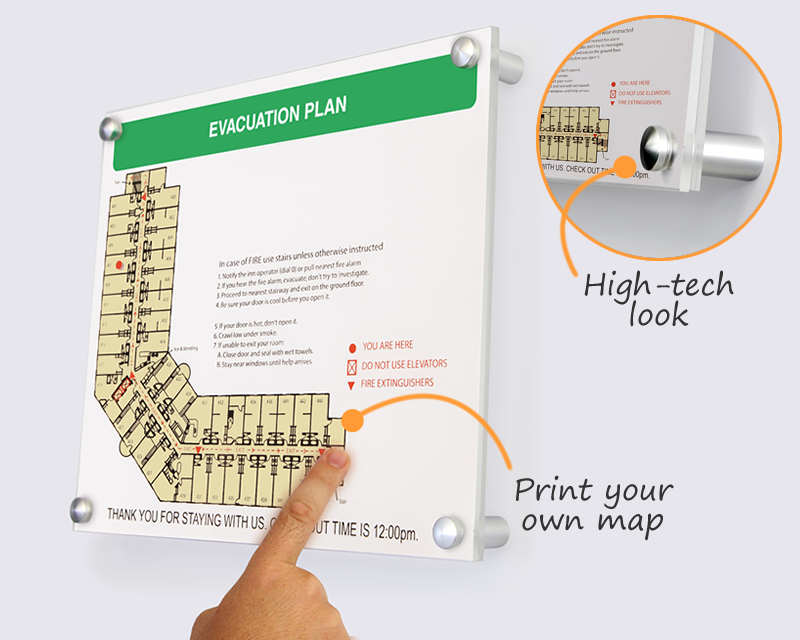 • Glow-in-the-dark holders allow workers to see the exit plan, even when the power is out. 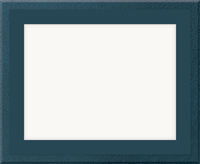 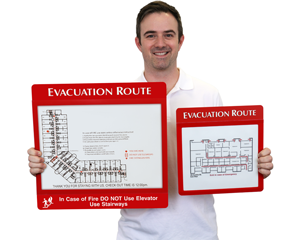 • Browse our signs and holders below for more details. 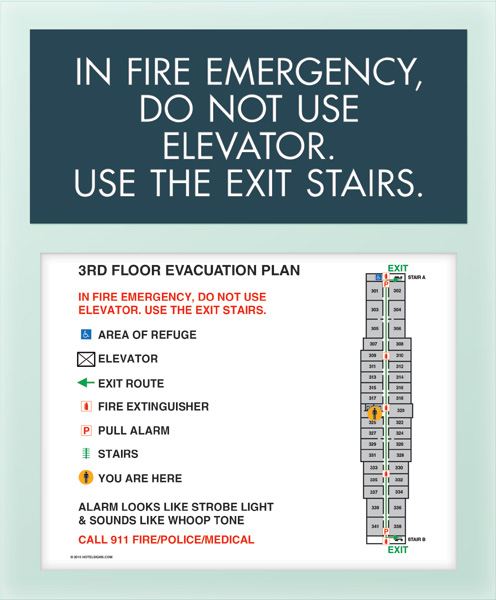 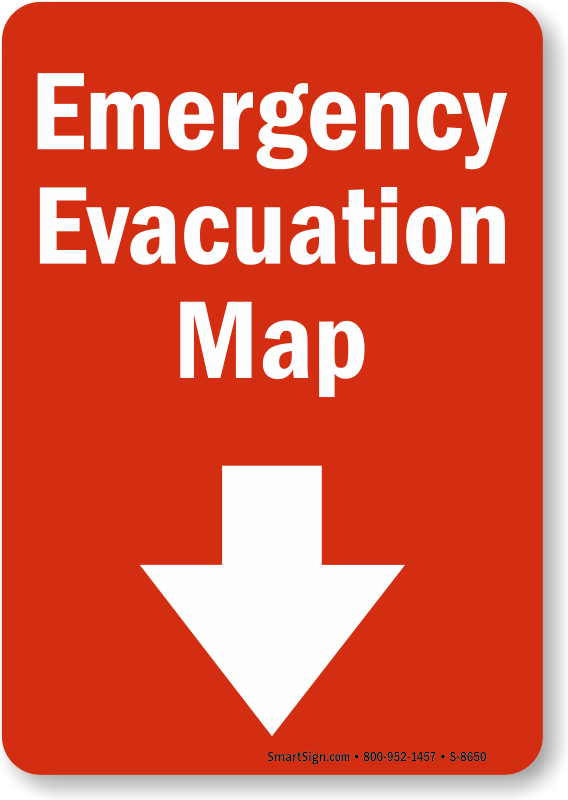 Give specific evacuation directions so everyone gets to where they need to go, safer and faster. 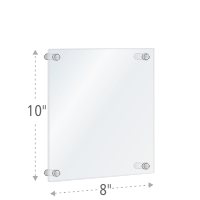 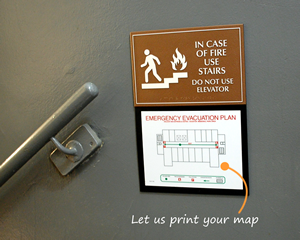 Just send us a sketch and we'll automatically convert your map into a finished insert to go with your sign. 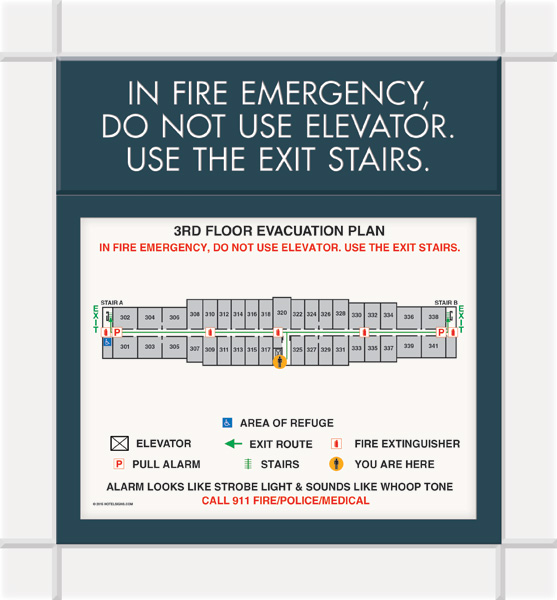 Proofs are free! 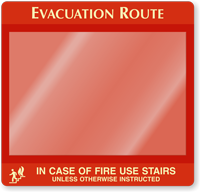 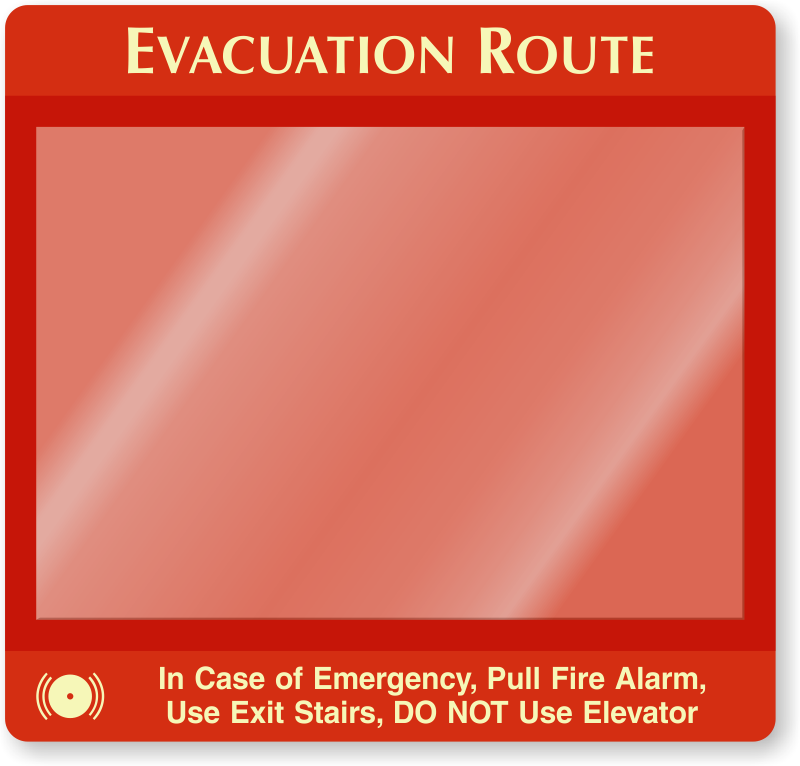 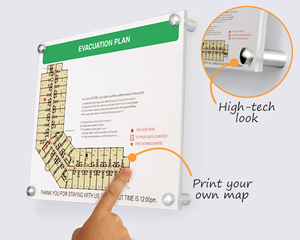 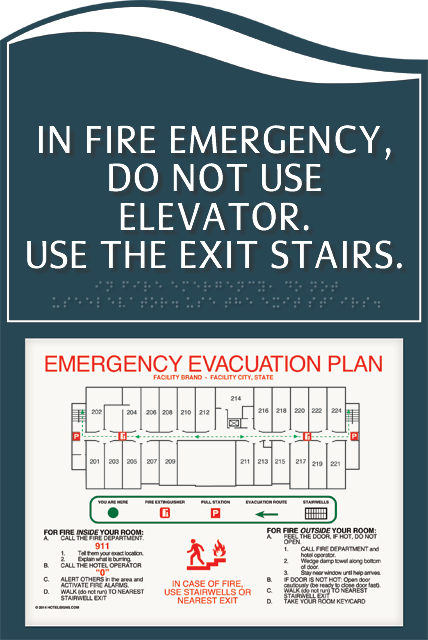 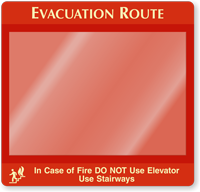 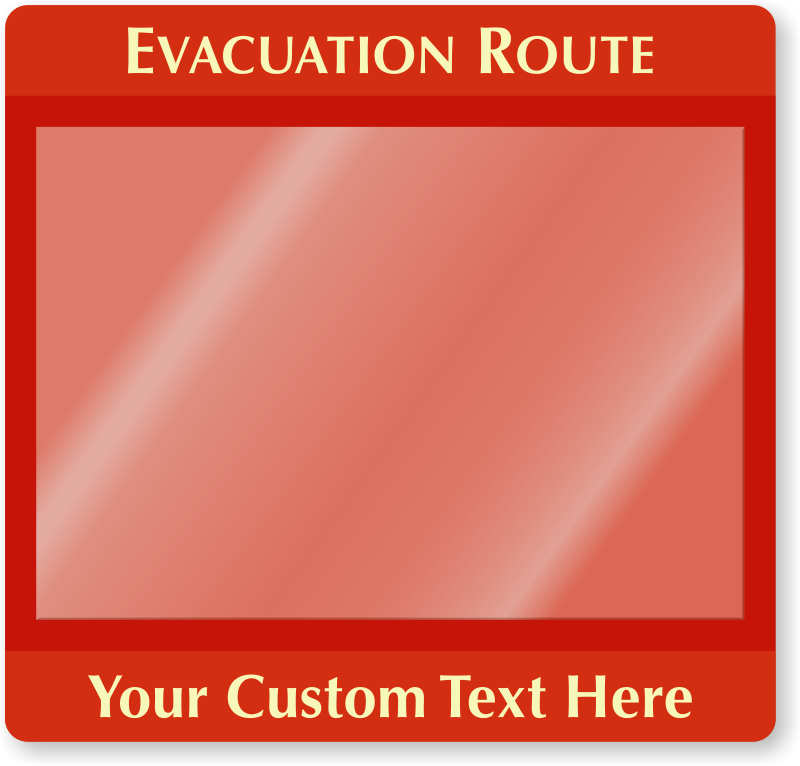 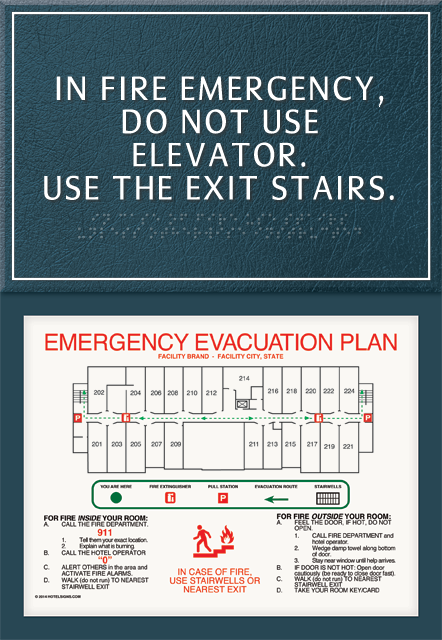 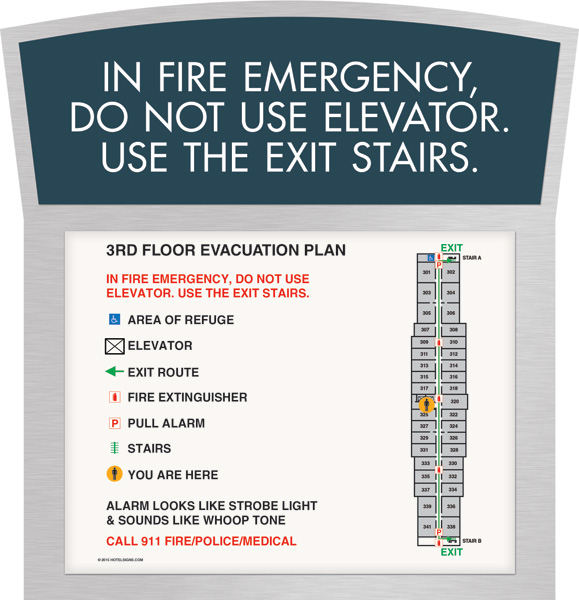 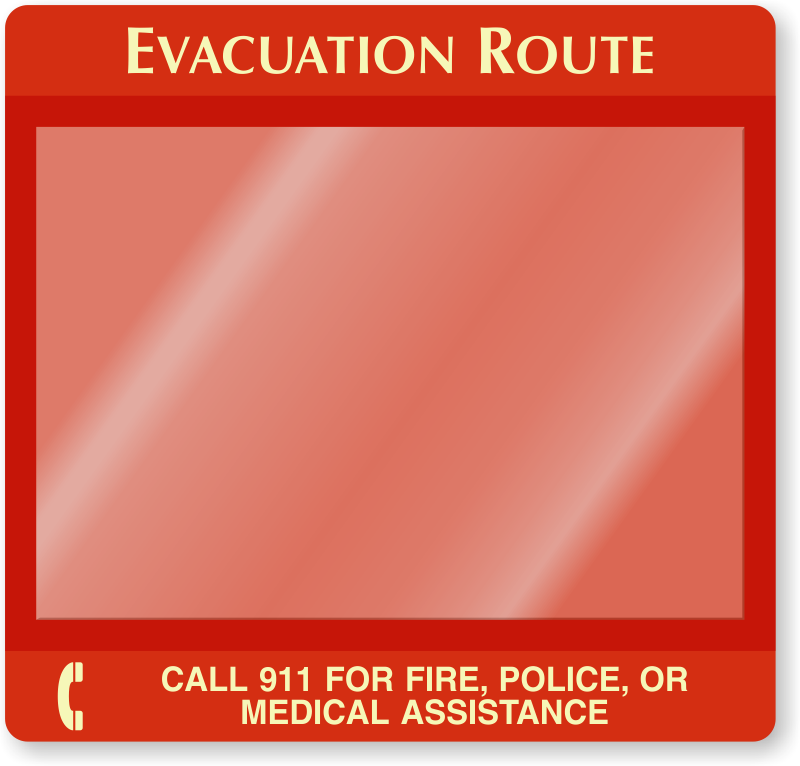 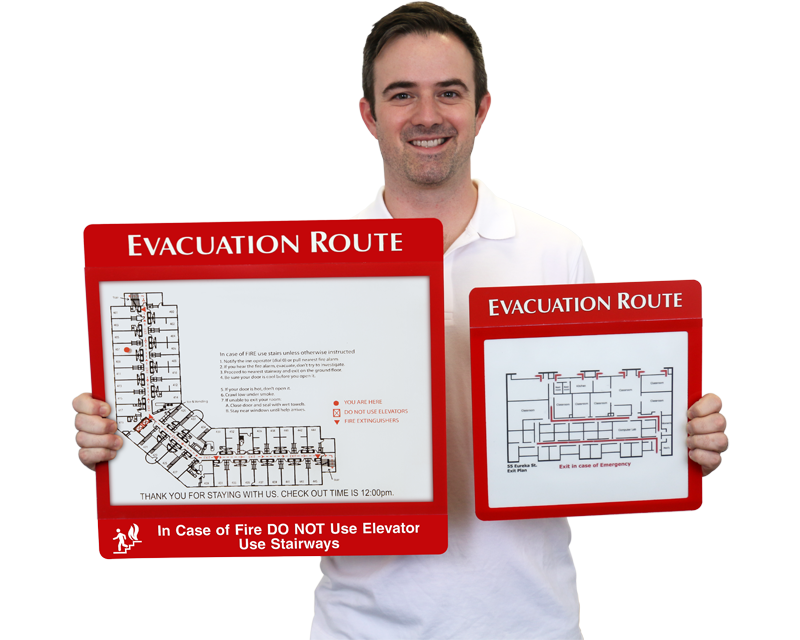 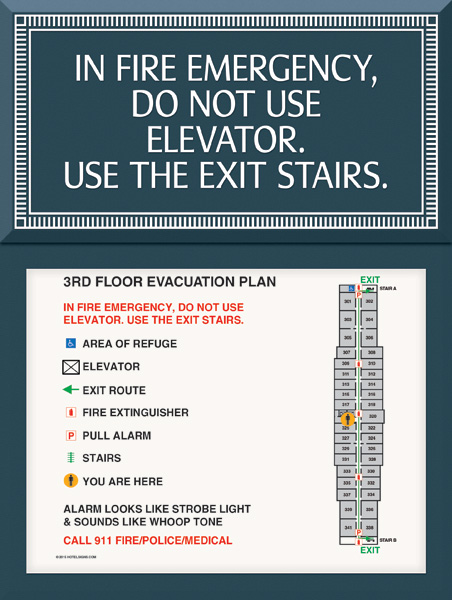 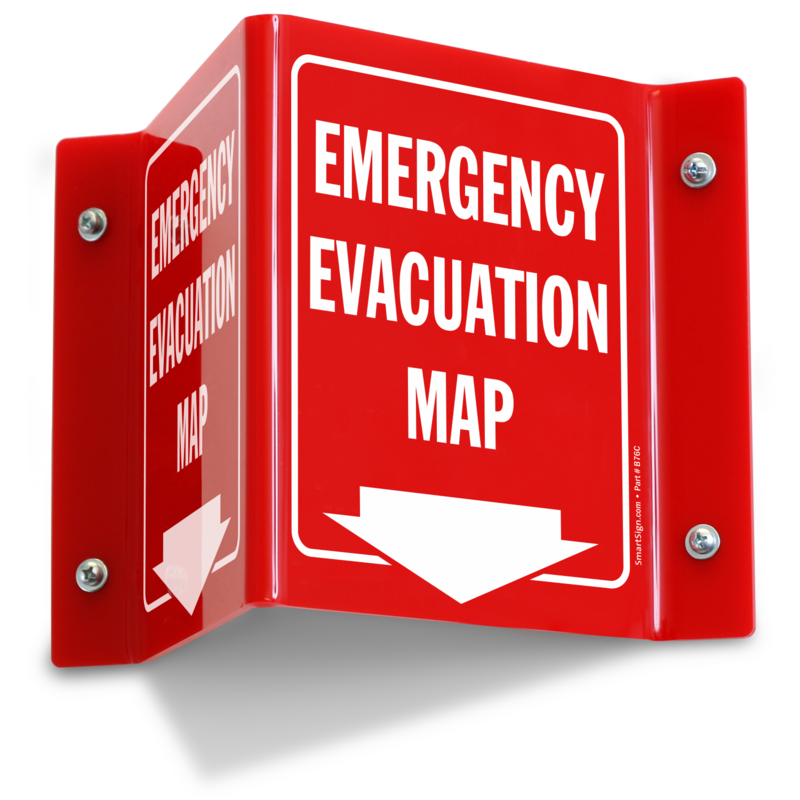 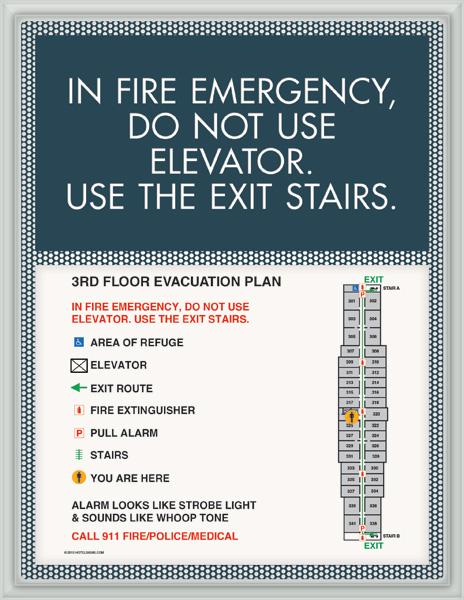 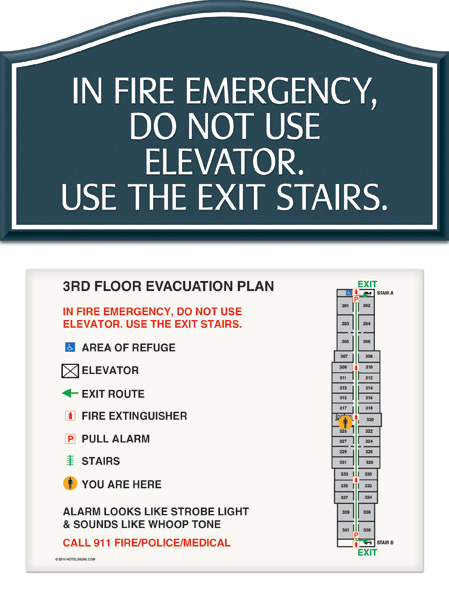 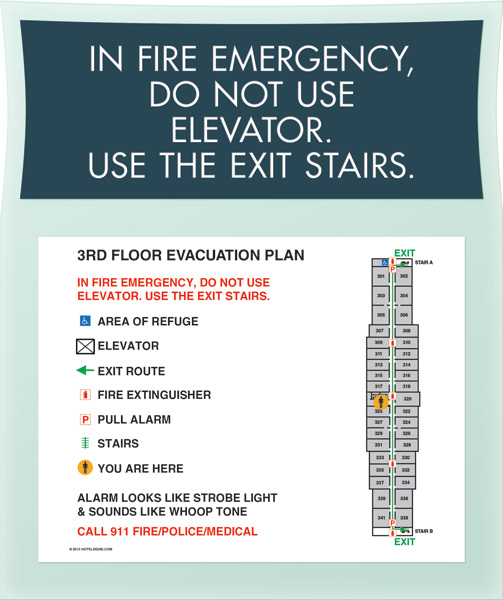 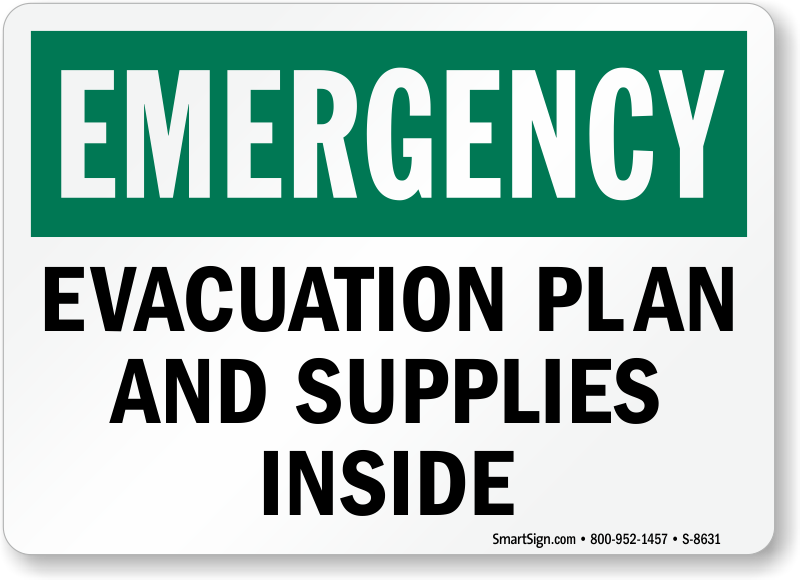 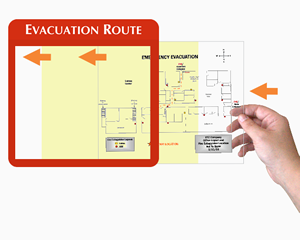 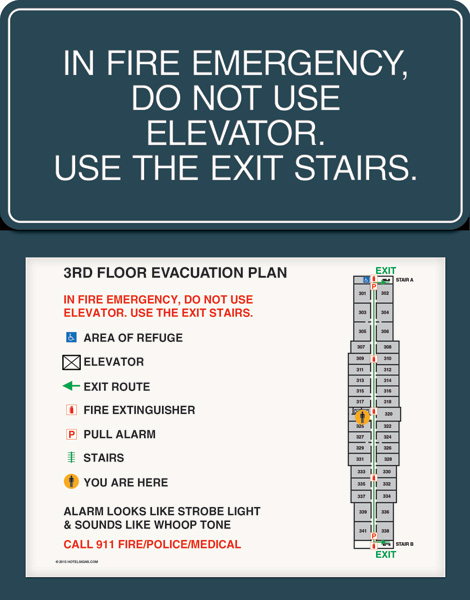 Emergency Evacuation Plan Sign, 17.25" x 12.375"